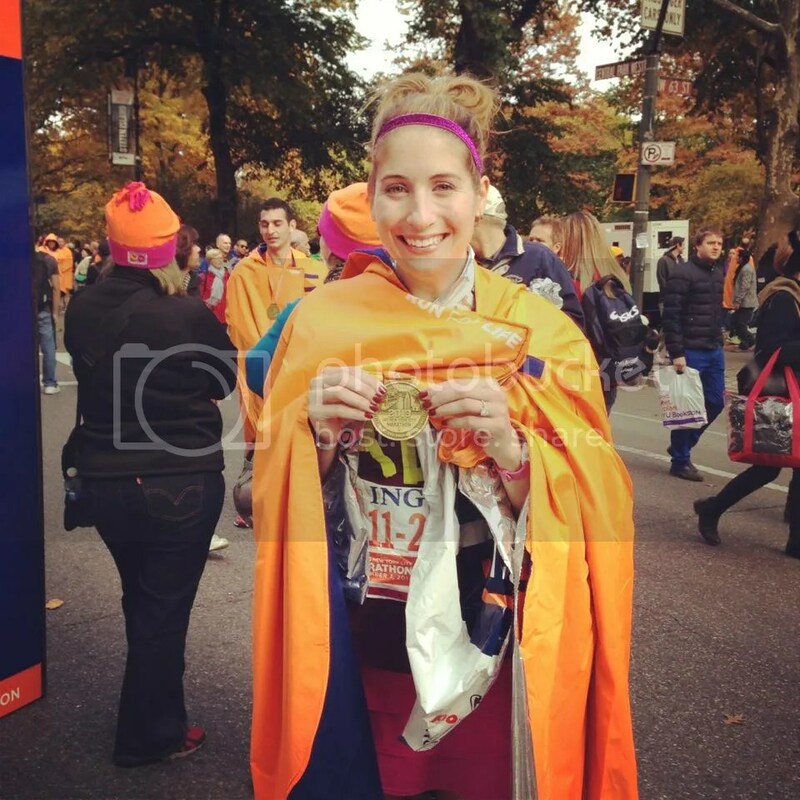 Last Monday, I officially kicked off my NYC Marathon Training. My Dad is my official “Coach”, which is scary…but I know he will take care of me and help me run my goal of a sub 3:30 marathon. Each Sunday, he hands me a training schedule. I then review it, have a minor panic attack, and figure out how it will get done. Tuesday – 1.5 mile warm up (Garmin malfunction), 4 miles tempo – 7:45, 7:14, 7:05, 7:13, .5 mile cooldown. 7:49 overall pace. Thursday – VERY HOT run!! Thunderstorms in the AM meant a 100 degree run in the PM. 4 miles, 8:20 pace. Saturday – First long run of NYC Training, 12.25 miles at the trail, 8:58 pace. Each Sunday/Monday, I plan to post my previous week training. 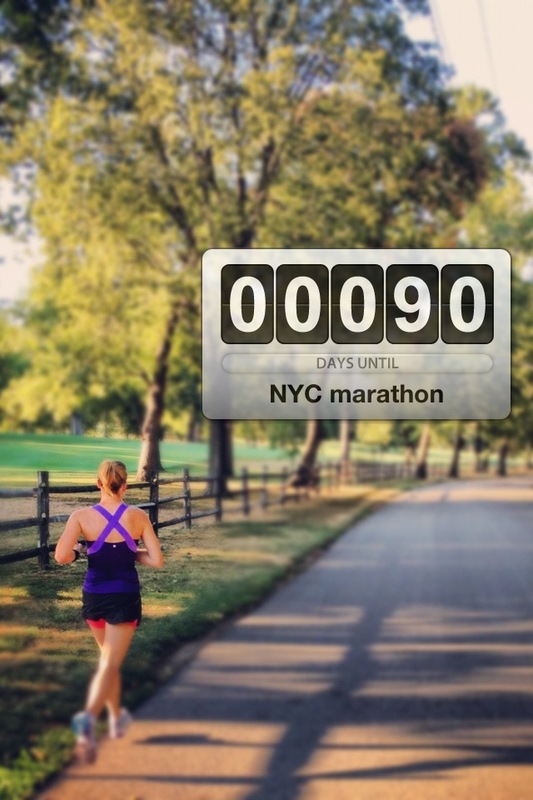 All tips and tricks for marathon training are welcome! I love the hashtag idea! I will tweet it like crazy! Can’t wait to run 10 together on Saturday – I think we should do the bridge, I’m sure you will run it earlier in the week but I think it would still be fun! Oops! Forgot to say who I am! It’s me, I’m Nicole!! Hehehe! Sounds perfect!!! I cannot wait to run with you! I love that your dad is you coach!!! Dad’s love to push us, don’t they!? 🙂 Good luck with your training, look forward to following along on your blog and on twitter! Nice first week! Posting your training is a great way to stay accountable, perhaps I should try that, haha! This was my thought exactly!!!!! Love hearing your thoughts. Also, what you do to train. Helps those of us who are lost and confused. Keep up the great work!! !